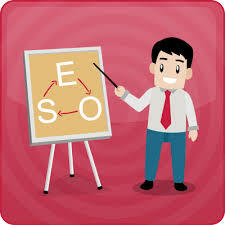 This Article is by Guest Author Dhiraj Singh.SEO stands for ‘Search Engine Optimization’, and it is a very important part of ‘Online Strategy’ for every organization. Your website might have a great design and excellent content, but without SEO, it like finding a needle in haystacks. It becomes difficult for viewers to find your website on ‘Search Engine’, if no credible SEO is employed in it. SEO works like a magnet and, it captures the important parts and sections of your website. Overall it helps in efficiently increasing the visibility of your website. Coming to point now, first and foremost step of starting the SEO process is to submit your site to a ‘Search Engine’. The best ‘Search Engines’ of contemporary times are Google, Yahoo and Bing. These ‘Search Engines’ provide many services and option to increase your website’s visibility, and you can easily submit your site to these ‘Search Engines’. ‘Search Engine’ is a software system which searches for information all over the internet. It stores the ‘Results’ on servers, and when a user posts a query the information is presented to the user. The work of gathering information is done by Web Crawlers, Spiders, and Robots etc. When you submit your site to a ‘Search Engine’, the web crawlers or spiders, they visit and index your whole website. These spiders can easily recognize meta tags and writing good meta tags is an important part of SEO. For more information on meta tags read this blog Meta Tag for Your Site by Benny Mathur. Once you have successfully submitted your site to the ‘Search Engines’ your website will start appearing on searching, just like that of any other website lets say any example of apnainsuranceguide.com this website is new but as it has been fully SEO optimized its result is showing in the Goolge. Reminding you that it take some time lets say a month For your website to appear on Google Search because there are many other blog older than your blog waiting in line to be shown on Google Search. Just a simple submission of your site can make your site visible to millions of people, and this should be the very first step in doing SEO of your site. Google Webmasters , Bing-Webmasters Tools , Yahoo Submission . Thanks for reading the article hope it will help you.